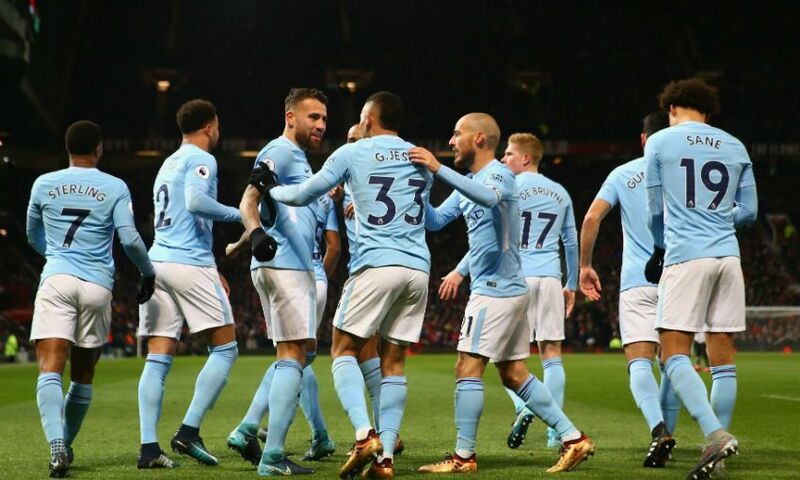 Manchester City can seal the Premier League title by beating Manchester United on Saturday - but that is by no means their most important fixture this week. That label, according to City fan Dom Farrell, can only be applied to Wednesday’s Champions League quarter-final first leg at Anfield, not the upcoming Manchester derby. 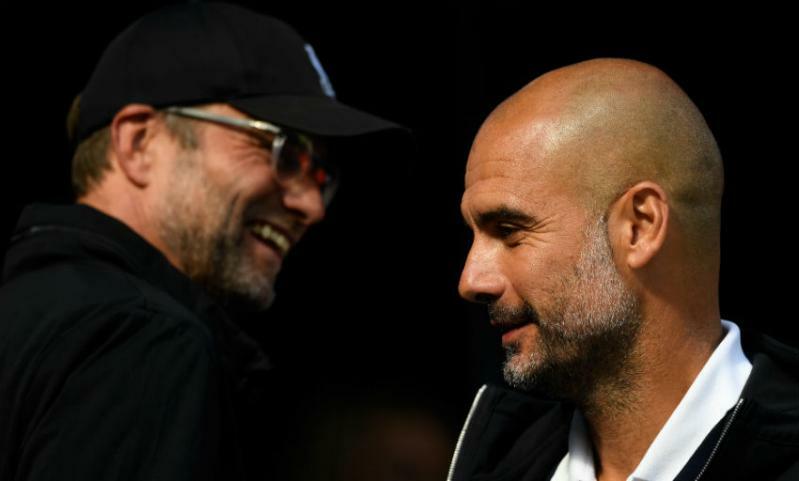 Ahead of the first of two meetings between Liverpool and City in the space of just six days, we got a comprehensive lowdown on Pep Guardiola’s side from an Etihad Stadium regular. Will the visitors’ 4-3 defeat in L4 in January influence their approach this time around? Who is Guardiola likely to include in his starting XI? 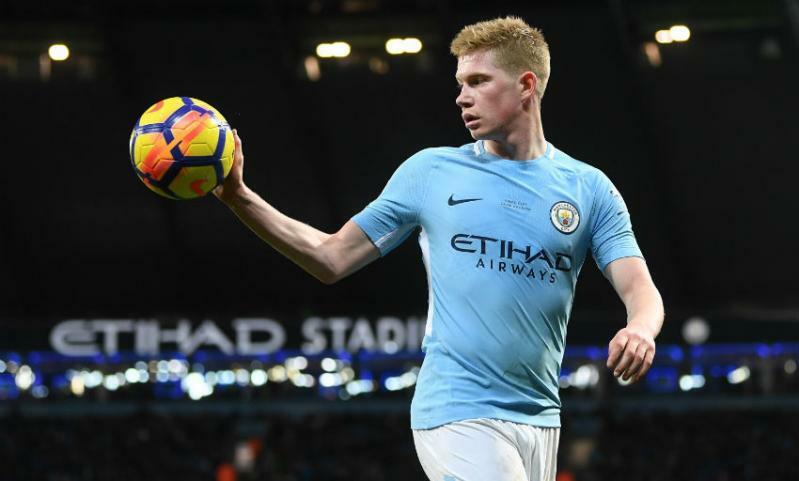 And should Kevin De Bruyne or Mohamed Salah be named Player of the Year? There was a feeling after the last-eight draw that both teams would have preferred to avoid each other. Would you agree with that? Given City's appalling record on Merseyside and the result in January, there was definitely a sense of, ‘Oh, here we go again’ when the draw was made. I suppose there's a glory in facing one of the great European names - playing Barcelona, Real Madrid or Bayern Munich will always feel more desirable than taking on a side you play twice every year anyway. Having said that, meeting those teams would arguably have been a tougher ask for City or Liverpool than facing each other. These players and coaches know each other inside out and the anticipation of something special happening on Wednesday is understandable. Will the fact your only Premier League loss of the season so far came at Anfield have any effect on the way Guardiola sets City up on Wednesday? There'll be tweaks here and there. In Saturday's demolition of Everton, Guardiola seemed to test a few tactical ploys with Liverpool in mind - Aymeric Laporte playing on the left-hand side of a defence that switched between a four and a three, De Bruyne being stationed a little deeper alongside Fernandinho in midfield and Raheem Sterling operating closer to the centre-forward. Overall, though, he is absolutely wedded to his style of play and results show he has good reason to be. What were the key factors behind that defeat from a City point of view? Do you expect Liverpool to approach the game similarly this time around? I think Jürgen Klopp put it best when he referenced the ‘pressing from another planet’ early in the second half that helped to prompt that three-goal blitz. Salah deservedly garners much of the attention around this Liverpool team right now but, in that regard, Roberto Firmino is an absolute menace. After opening the scoring, Alex Oxlade-Chamberlain was excellent in midfield, where Georginio Wijnaldum was probably Liverpool's unsung hero. Like Guardiola, Klopp will never move too far away from a style he believes is the best way to win football matches. That element of the battle lines being so clearly drawn is one of the things that makes this tie so intriguing. How will City line up, then? 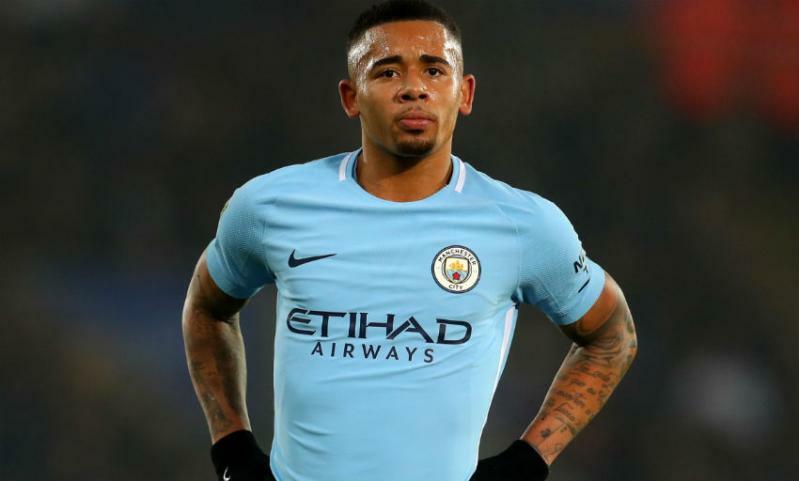 We know Sergio Aguero is out, but would Gabriel Jesus have started up top anyway? I'd expect the same XI from the Everton game. There was maybe an argument to take Sterling out of the firing line and start Bernardo Silva but Guardiola substituting the England man at Goodison Park to save his legs suggests he's decided against that. Aguero being out is a blow, especially given his form since the turn of the year, but Jesus has been trusted in big games before and many of the things Guardiola demands of his centre-forward, such as leading the high press, come more naturally to the Brazilian. Potentially winning the title against United, or Wednesday’s first leg: Which is more important? As much as sealing the title against United would be glorious for obvious reasons, it's hard to make a case for that being the most important game of the week. 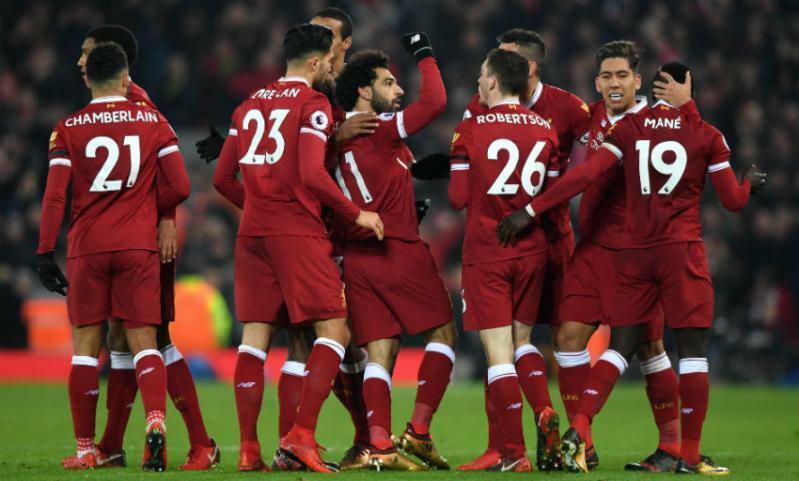 The Premier League title is in the bag and there'll be six more opportunities to seal it if the job isn't done in the derby. City got to the Champions League semi-finals in 2015-16 but that was a run where they rode their luck. This year is the first time they've looked like a side ready to mix it with Europe's elite. Finding out whether that's the case or not depends on a good performance and result at Anfield. You were drawn to play the second leg at home, of course. Do you see that as a significant advantage? Definitely, so long as Liverpool don't win by four or five on Wednesday! One thing that has become pretty clear this season is that playing against this City side is absolutely exhausting, even when a team enjoys some success. I don't think it's a coincidence that Liverpool's losses to Swansea and West Brom came immediately after beating City at Anfield. It's a draining experience and, even if Liverpool are able to win this week, going away from home six days later to repeat the trick is a huge ask. De Bruyne or Salah for Player of the Year? Both men have had absolutely phenomenal seasons. Salah succeeding doesn't surprise me (I had him in my fantasy team from the start of the season, honest) but the sheer weight of his goal return has been something else. Nevertheless, I'd still lean towards De Bruyne. He's the beating heart of the champions-elect and has transformed from an accomplished goalscoring midfielder to all-round maestro under Guardiola. He also has an intrinsic feel for the big moments in the big games - his magnificent winner at Chelsea last September standing as a fine example. I give the Belgian the edge but it would be no travesty if Salah gets the nod. Who do you consider to be the Reds’ main threats? An obvious one, but you have to say Salah, especially as City have been forced to take a bit of an odds-and-sods approach at left-back since Benjamin Mendy's cruciate knee ligament injury. Guardiola selecting centre-back Laporte there at the weekend suggested the alternatives do not fill him with complete confidence when it comes to facing the Premier League's in-form attacker. More broadly, that whole front three is frightening when they get going. The loss of Philippe Coutinho and Adam Lallana's injury problems have arguably served to simplify Liverpool's approach - hit the front three as quickly and sharply as possible. The whole team seems geared towards unlocking Salah, Firmino and Sadio Mane, which is a bit of a nightmare for opponents. Liverpool to win 2-1 on Wednesday (with Sterling scoring City's goal in front of the Kop, of course) but City pulling it round with a 3-1 win at the Etihad to progress 4-3 on aggregate and leave no one in attendance with any fingernails left.